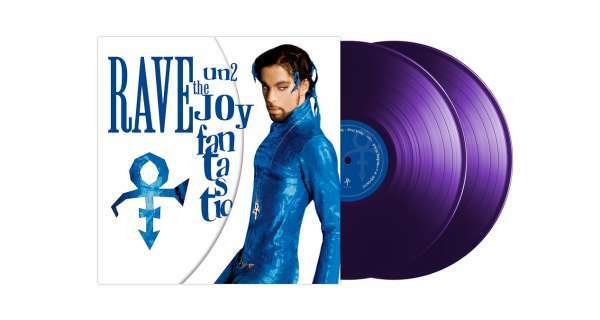 Der Artikel Prince: Rave Un2 The Joy Fantastic (Purple Vinyl) wurde in den Warenkorb gelegt. Note: Was released on vinyl in limited commercial release in 1999 but our version includes the last 2 tracks that were left off the original pressing Rave Un2 The Joy Fantastic (1999). Prince had taken quite the ownership of the year 1999, so it was no surprise that the last year of the millennium was one of The Artist’s biggest. Rave Un2 The Joy Fantastic (another name from the past, a 1988 project that was aborted in favor of the soundtrack to Batman) is a pop-leaning, major-label album, featuring a surprising amount of guest artists (Chuck D of Public Enemy, Eve, No Doubt’s Gwen Stefani, Sheryl Crow) and a clutch of radio-friendly tracks (»The Greatest Romance Ever Sold«, »So Far«, »So Pleased«, »Hot Wit U«, a cover of Crow’s »Everyday Is a Winding Road«). The star-studded Rave Un2 the Joy Fantastic was the first and only album that Prince would release with the major label Arista Records, and the final album of previously unreleased material that he credited to his unpronounceable symbol.